Our value is the best in Austin. Rent includes ALL utilities. That means there are no utilities to split or figure out every month. Free Netflix and high speed internet (both wired and wireless) are also included. We even include a maid that cleans all of the common areas and bathrooms once every several weeks. We currently have 8 houses located in many areas of Austin. 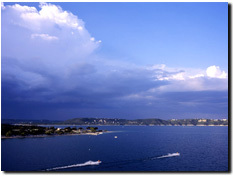 Our houses are primarily in northwest, northeast, east, and southeast Austin. We frequently advertise on Craigslist. Each house has approximately 4 bedrooms and 2.5 bathrooms. Nearly every house has a garage as well as a washer and dryer. All of the houses are located close to many major Austin employers such as: 3M, ACC, Apple, Applied Materials, ClearCube, Cisco, Dell, Freescale, IBM, Kershner Trading Group, GM, Great Point Capital, HEB, National Instruments, Round Rock ISD, Samsung, Solectron, Sun, Zimmer Orthopaedics and many more. Our lease is very straightforward and is generally at least 9 months long. We do require a fully refundable deposit and a background check fee. We offer very easy and reliable ways to pay rent, so you don't have to drive all over town. You can have your rent automatically paid via ACH debit from your checking or savings account or pay with a credit or debit card through PayPal for a fee. Sorry, pets are not okay. We have found that they just don't work in a roommate situation very well. If this sounds like an Austin roommate situation that you are interested in please contact us. We can setup a day/time to view the available rooms. If you're not sure this is for you and don't want to commit right off, we understand and can work something out. Promise, if you're easy going and like people, you'll like it. We've found that most people like to live in our houses for a year or so and get acclimated to the area. Some stay longer, some move on to other places in the city. It's at least a good way to introduce yourself to Austin, which is pretty much the most awesome city in all of Texas (maybe the world?). Email us or check out the available rooms for more information. Early in 2003 Scott Brown and myself, Ames Brown (we're not related), were just finishing up college at Vanderbilt University in Nashville, TN. Both of us were finishing our engineering degrees and had accepted job offers at National Instruments (NI). Since we had both been interns the previous year we were fairly familiar with Austin and knew several other interns that were going to be starting their full-time positions at roughly the same time in the fall. We knew we wanted an affordable place to live and a more social living environment than getting our own apartments. Several of our friends seemed to like the idea and were interested in living in one of the rooms as well. So we decided to take the plunge and become home owners before even starting our first full-time positions at NI. We went down to Austin for just 7 days in mid-July and looked at nearly 100 different houses. We were determined to purchase a house during that time and we did. We purchased our first house, 12909 Humphrey Dr. If it wasn't for the pre-housing bubble lending practices I don't think we would have been able to get that house armed only with our job offers and small loans from our parents. The first house went rather well, albeit with some sacrifices. At one point Scott and I shared a room just to get by. However, within a year or two it was going well enough that we decided to purchase a couple more houses. Realizing that our format for the first house worked well we decided to repeat that, but at the same time we decided to try a more classic rental property. Unfortunately we did not have the same success with the classic rental property and it inevitably slowed our growth. After making the decision to sell one of the classic rental properties and convert the other one into our "dorm style model", things were going well again. We then continued to expand to the point where we are today with 8 houses scattered over Austin. In August of 2009 we brought on our first property manager to help manage our properties. In January of 2011 we changed our web site address and started doing business under the name Austin Housemates instead of LAT Investments. We wanted our name to be more descriptive and represent more of what our business is about. In 2013 we started managing other people's single family houses as well as their roommate houses. Over the next several years we plan to continue to grow and provide the same quality affordable roommate housing to Austin's growing young professional community. 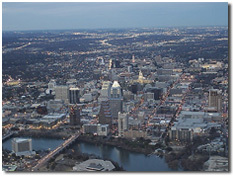 We currently have several houses located in many areas of Austin.